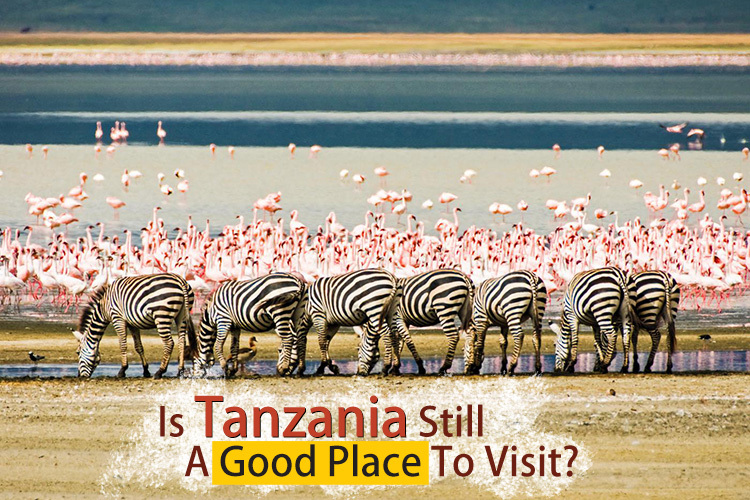 Is Tanzania Still A Good Place To Visit? If you are a fan of the wilderness and lazing around on beaches is not your idea of a perfect holiday, Tanzania is the destination for you. Whether it’s climbing Mount Kilimanjaro or spending time in the local market, tourists are bound to have a remarkable time. If you are not an avid climber, do not let that discourage you from hiking. There are dozens of routes you can opt for. Just ask your guide to help you choose one according to your fitness level and schedule. Once you reach the top, head over to Serengeti National Park for a breathtaking hot air balloon ride. Tanzania is widely famous for its Safari Parks. Witness wild animals in their natural habitats and make new friends wherever you go. Tired of your monotonous routine? Tanzania is a country rich with culture. Interact with the local people and be fascinated by their unique heritage. Visit the bustling markets in Dar es Salaam to get the perfect bargain on clothes and spices or use the opportunity to find yourself a neat souvenir to show your friends back home. If it’s time to unwind, visit Tanzania to have some fun in the sun. Tanzanian beaches are the perfect places to unwind. Loosen up a little and get a nice tan. Enjoy gazing at the achingly blue waters and when you are tired of lazing around, step up for a good old-fashioned game of beach volleyball, or go surfing. Strolling on the beach around sunset will be the highlight of your trip. If security a point of concern, rest assured Tanzania is a peaceful country. Apart from the police force, the local citizens do their best to make foreigners feel secure in their land. Most of the locals are incredibly friendly and are happy to help you out if there is a problem. Most tourist places are guarded and have police posts close by to ensure all the guests are safe. People traveling solo need not worry as they will be in the company of their safari provider at all times. Plus, it’s not difficult to make a friend. If at some point of the journey, you no longer feel comfortable traveling alone, get in touch with other tourists. Most tourists prefer traveling in groups and herds, anyway. Tanzania is the perfect place to visit if you are tired of the busy city life. Pack your bags and head over to the country to experience one of the most remarkable journeys of your life. And don’t let anyone tell you that it isn’t a great place to visit, despite all you might have heard about it.